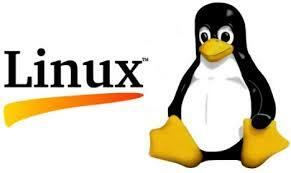 Many online entrepreneurs choose Linux as a platform on which to build their online business and presence. While Windows platforms offer a number of benefits, Linux is an affordable, mutable, and secure system. If you’re debating using a Linux server to host your website/s, consider these five pros to Linux web hosting.Reliable Security When it comes to security and dependability, Linux hosting doesn’t disappoint. While there’s never a 100% guarantee all security threats will be averted, regardless of the platform you choose, Linux users attest to its reliability. Linux hosting providers who offer fully managed services routinely update software and hardware to ensure only the most secure services are provisioned.High Performance & Seamless Ease-of-use is a benefit many looking for web hosting place at the top of their list. Linux servers are generally highly stable, can handle large volumes of applications, and provide satisfying uptimes for users. Scripting languages and databases used to boost website speed and accessibility, such as PHP, Perl Script, and MySQL are fully supported by Linux.Consistent System Updates Linux provides an open source platform web developers can bend per their wishes, such as making improvements and patching any holes within the system. This helps to ensure that Linux runs seamlessly for end-users, and that they receive the highest value for their money. Additionally, because it’s an open source system, it’s free to use. For this reason, Linux through web hosting providers is typically highly affordable for clients.Cost-Effective Solution Individuals looking to start online businesses often choose Linux because it’s less costly than Windows web hosting. As mentioned above, Linux is an open source operating system, and doesn’t require any sort of licensing fees to get started. Because a wide range of applications run on Linux, including WordPress, Joomla, and other open source tools, anyone can use it to affordably build an online company.Entirely Flexible Versatility is another advantage of Linux web hosting, which is widely appreciated by businesses large and small. Whether you own and operate an e-commerce site, or manage a blog, you can easily do so via Linux web hosting. Linux is also entirely scalable, which gives you the opportunity to conserve disk space by installing and retaining only the programs you need.